Reservations canceled within 1 days of the scheduled arrival date are subject to a 100% penalty and are responsible for the entire stay and will forfeit all payments. Guests coming by car must drive through the A31 highway and catch exit Dueville. They should then take the direction for Sandrigo and then for Marostica Bassano. The property is located in Mason Vicentino, close to Breganze. The nearest airports are in Venice, Treviso and Verona. Monte di Cadore is a pilot project started in spring 2008. Its goal was to take the traditional hospitality of the hotel room and bring it out to nature. In the dizzying pace of life and work, the house can fetch a special role, becoming a pause in which to regain the little things of living. The formula of the "mobile homes" presents itself as a solution for those who want to spend a vacation combining the beauties and comforts of both exterior and interior life. The property has various cottages and accommodations. One of which, the SH Suite Home, was ranked first in the "Innovators of Italy" competition at the shanghai Expo 2010. Each cottage and accommodation has a unique style to suit the needs and preferences of all guests. Each accommodation also has the technology of a five star hotel, including underfloor heating, LCD Televisions, and a fully equipped kitchenette. Step over to the massive glass panel in each cottage and stare into the spectacular view of rolling hills, vineyards, and lush flora. 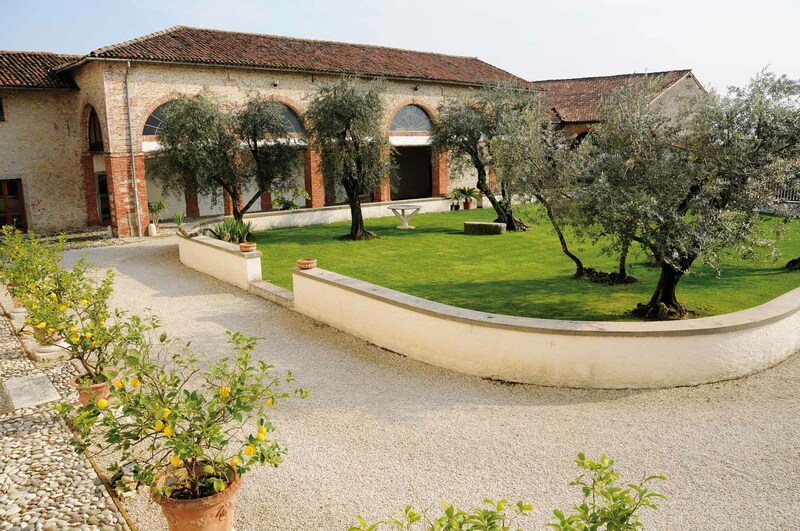 The Old Monastery of San Biagio extends its offer to guests with a new spa designed to be a place for regeneration and relaxation. Care of details, comfort and quality in service characterize the environments of the center, for a total care of yourself. The SPA is available only upon reservation, thus providing a reserved access for a total relaxation. After a long challenging day or at the end of a pleasant stay, let yourself be pampered by a hydromassage, an emotional shower, a sauna, a steam bath, a relaxing herbal tea, a romantic evening in front of a crackling fireplace and live a genuine rebirth experience. Closed: Every weekend of 2019, April 22nd and 25th, May 1st, August 15th, from December 20th-31st. A comfortable suite fully integrated in nature, the Junior Suite has all of the comforts of a hotel room while maintaining the perfect mix of modernity and love for nature. This suite is suitable to accommodate singles or couples looking for places to regenerate the mind, body, spirit and emotions. Dinners can be arranged by the take away system. This suite features one bedroom, one bathroom, one living room, an equipped kitchenette, 2 LCD TVs, a telephone, air conditioning, and an under-floor heating system. The most original and beautiful suite on this property, the Suite Built on a Tree offers a wide view of the surroundings and an amazing experience for guests. This suite is great for singles or couples looking to getaway and relax in the comforts of nature. Dinners can be arranged by the take away system. This suite features one bedroom, one bathroom, one living room, an equipped kitchenette, 2 LCD TVs, a telephone, air conditioning, and an under-floor heating system. With open space and large views, the Suite Home is the perfect place for guests to contemplate infinite horizons. The large windows offer continuity between the interior and exterior, creating an open and harmonious continuity. This suite was ranked 1st in the "Italy of Innovators" section at the Shanghai Expo Competition back in 2010. The suite is perfect for singles or couples looking to getaway and relax in the comforts of nature. Dinners can be arranged by the take away system. This suite features one bedroom, one bathroom, one living room, an equipped kitchenette, 2 LCD TVs, a telephone, air conditioning, and an under-floor heating system. Enjoy everything from the views of the mountains to the relaxations of the spa.